The bus ride to Buenos Aires was pretty long, 22 1/2 hours in fact! That’s definitely the longest bus ride I have ever done before. It was pretty productive though as I knitted a glove and the movie selection was pretty good. I know their super cheesy but I do love the Fast and the Furious movies and we watched the fifth one, the one set in Brazil, which got all us looking forward to getting there – not far away now! Bizarrely on our transfer to the hotel we passed Peter from our last your group as he was walking along a main road, so he hopped in our bus and joined us for the day! Along the drive we passed a monument that has been dismantled, so you can see the different carved stone blocks and the brick base. It was originally a monument to Christopher Columbus. 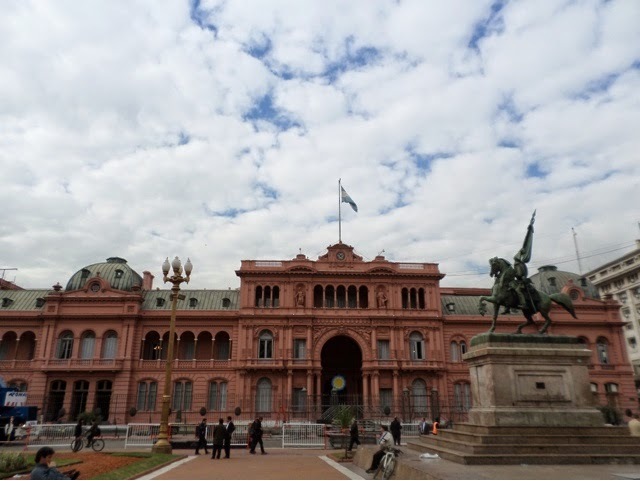 Argentina are in the process of changing their history teaching, recognising that indigenous peoples were living here prior to its ‘discovery’ and therefore the monument is being replaced. Our hotel in Buenos Aires was by far the fanciest hotel I’ve stayed in so far, it was great. It was a bit of a soulless chain hotel, but to be honest crisp white sheets and a nice clean shower feel very luxurious after a while. We did a bit of an orientation walk, heading out to see the main sights. Along the way there was a street market and festival, with bands playing and people dancing in the street. They are building up to May week here, the celebrations marking the anniversary of Revolution day on May 25th. Buenos Aires is the capital city of Argentina, with a population of four million people within the city, which swells to 14 million during the working week as many people travel in to work. Residents of the city are called Portenos, as the city was built originally as a port. 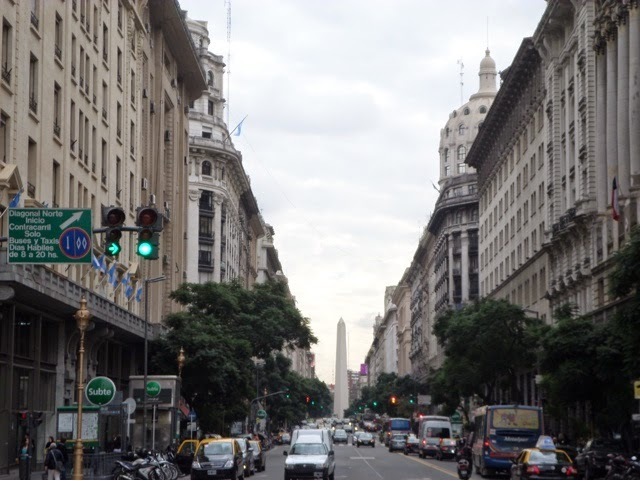 Buenos Aires is unusual in that it is not actually the capital city of the region names Buenos Aires, it is actually an autonomous district, which happened in the late 1800s in response to political issues. 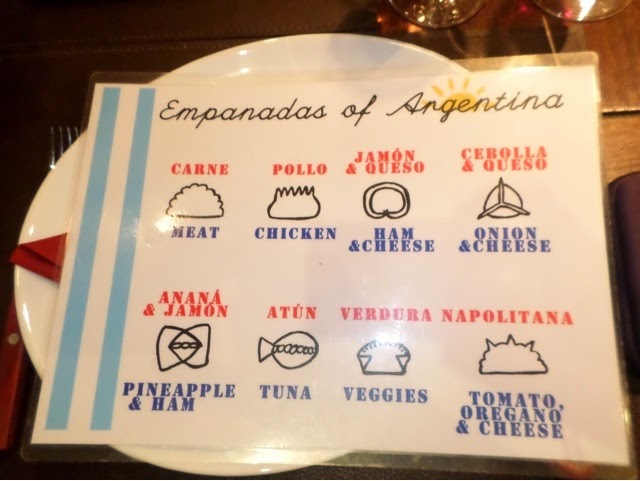 The name of the city is the slightly odd sounding “autonomous city of Buenos Aires”. The city has also grown out to incorporate surrounding areas and is known for the distinctive characters of the differing suburbs. It is actually the most visited city in South America and is nicknamed the Paris of South America, which I can see from the French style buildings and streets. The city is built on a tributary of the Rio de la Plata, the river of silver. The river was ‘discovered’ in 1516 by Juan de Solis, a Spanish explorer, but he was killed by natives in the tea of Uruguay. 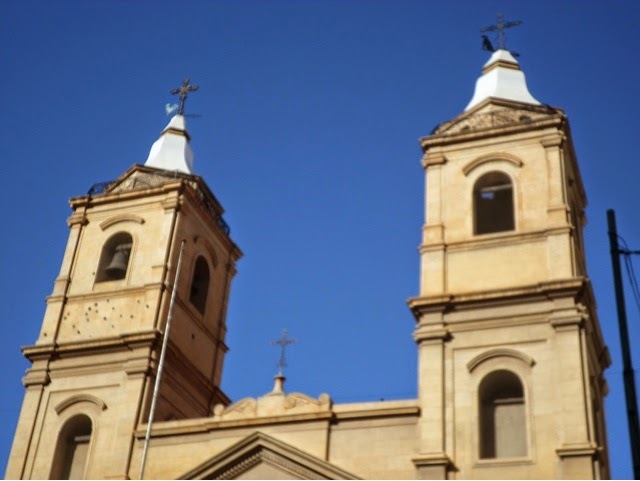 The city itself was founded in 1536 by the Spanish and the first area was San Telmo, which is actually the suburb that our hotel is located in. The city was then abandoned as indigenous people attacking the settlement scared them off. The city was resettled in 1580 by a group that sailed down the Rio Paraña from Paraguay. The city existed mainly as a port, a new port, Port Moreno was constructed to allow for larger ships. However, by the time it was completed it too was too small and another new port had to be built. The city still acts as the main port for the country with a large cargo port. In the centre of a junction on the main road is a large Obelisk. The four sides each represent significant dates in the Argentine calendar. It is almost 70m tall and actually has steps which run up through the centre, although you’re not allowed to climb it. It’s quite a handy landmark though! Looking along the main street to the Obelisk, you can see the European style architecture. The Portenos were eager to distance themselves from Spain and therefore adopted the French architectural style. From the obelisk we headed to the main square, Plaza de Mayo, where we saw the Cabildo. This building would have originally functioned as a combination of a city hall, prison and administrative centre. The original building was wider in either direction, but was shortened to allow construction of the roads. In response the tower then had to be shortened as it had become unstable! The presidential palace is located at the opposite end of the square the president only works here, it is not her actual residence. The main square also houses the cathedral that was home to the current pope and is a slightly controversial site. The pope is either loved or hated by the people here. Whilst people are pleased that a South American pope was chosen and that he is leaning towards leftist policies, he is unpopular with some due to his position during the dictatorship. The cathedral was a place that people would come to give their confession and in return the details of many political disuse dents were passed onto the military police, resulting in the disappearance of many people. Whilst the church has said that they were acting under duress, it is still an uncomfortable memory for many people here, as the please they thought they could trust were complicit in the regime. The presidential palace, it was originally two separate buildings that were then joined together in the middle. 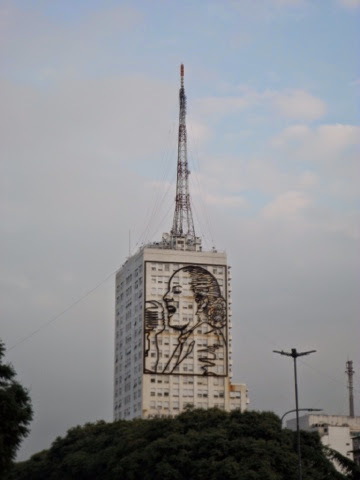 Image of Eva Peron on the side of a tall building along Avenue 9 de Julio. Part way through the tour myself and Karen had to duck out in order to get to our afternoon activity in time. 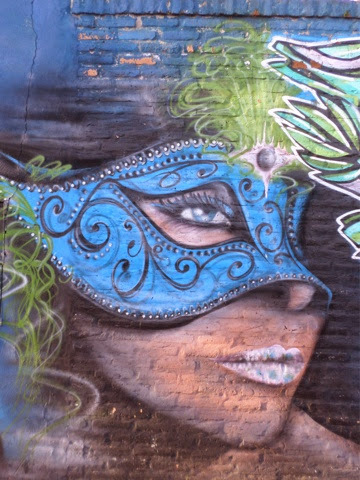 We went on a tour of street art and graffiti in Buenos Aires. We grabbed lunch, which turned out to be from a vegan cafe, a rarity in Argentina! 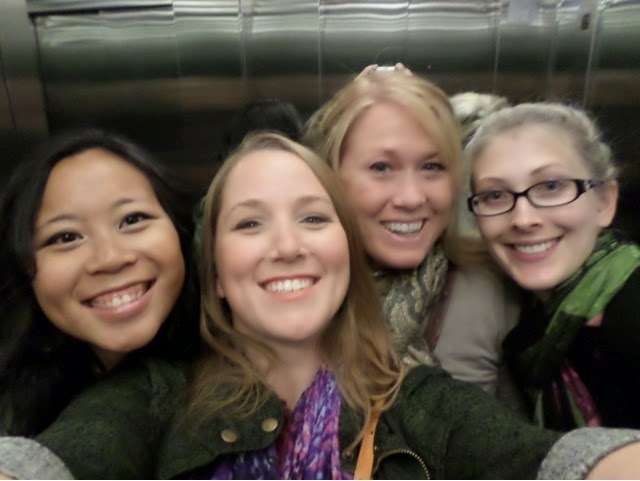 Then we hopped on the subway, which was pretty weird as I have not been on a subway in ages and took me back to London. I wrote a separate post about the tour as it was so interesting! On the way home there was mama playing the most amazing classical music on a keyboard. Apparently it’s quite common for musicians and even bands to play live music on the subway trains here. That evening the group headed to a restaurant in Palermo for the ‘Argentine experience’…. 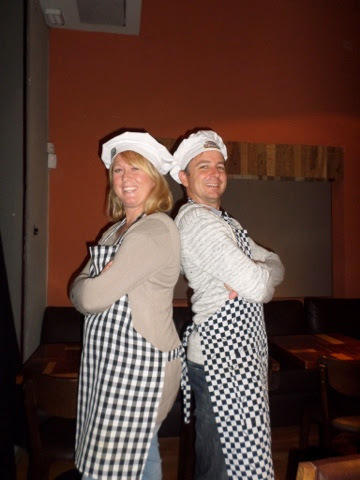 We arrived in the restaurant and got kitted out in our super stylish aprons and chefs hats. We then made Argentinian empañadas, which differ from the Chilean ones that we made as they are far smaller in size. We filled them with beef, roast veggies, caramelised onions and cheese, yummy! You can tell what the filling in your empañada is from the way that it is folded. Meat ones are folded in a similar style to a pasty, whereas ham and cheese ones look a bit like a giant pasta. 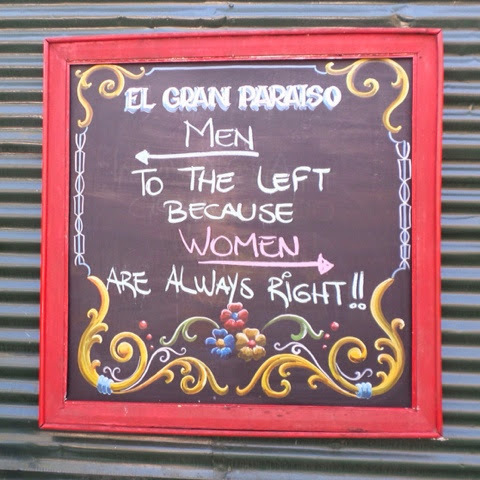 We had another chef off between Michelle and Peter… Flashback to San Pedro de Atacama. 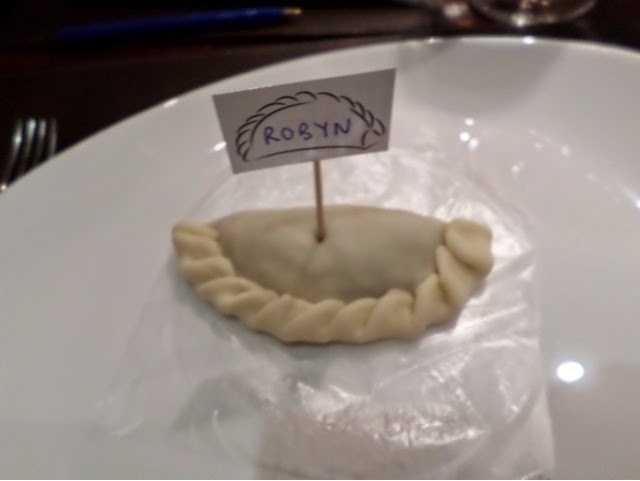 We then made novelty empañadas I made a dinosaur, a very odd looking one! Courtney won with her cat, which was really good. 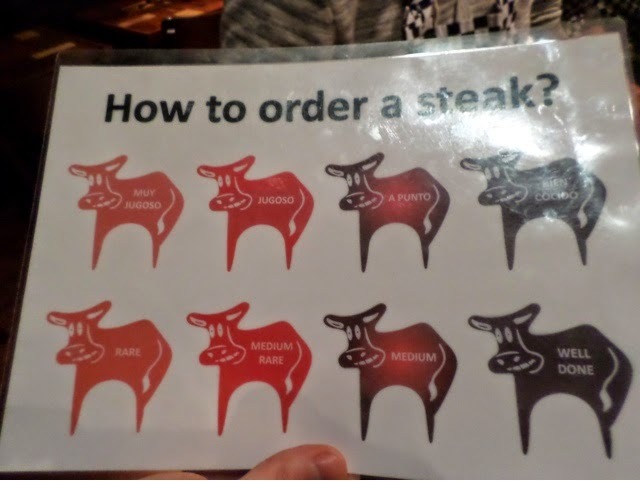 We then learnt how to order our steaks in Spanish… Very handy in the country of meat! I like mine medium or medium rare, which is called Jugoso over here. They usually over cook the meat here so basically go with the approach of ‘go as rare as you dare’ because you can always throw it back on the grill. 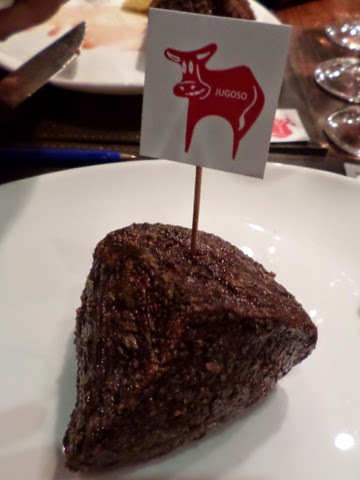 The restaurant uses only the best local steak. They leave it uncovered in the fridge for 24 hours to form a slightly brown crust on the outside. Whilst this may look unappetising it actually helps when cooking the meat as it forms a nice caramelised outside to the steak. They then leave the meat to fully come up to room temperature before cooking. When in the pan or on the grill the steak is turned every 20 seconds, until cooked. This is also the way that I saw Heston Blumenthal recommend you to cook steak on one of his shows too. My steak, it was glorious! We ate our enormous portions of meat with mashed potatoes and veggies and washed down with Malbec. 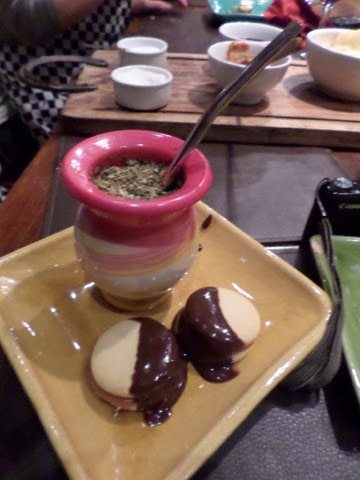 After dinner we made alfahores and drank maté together, it was a lovely evening. 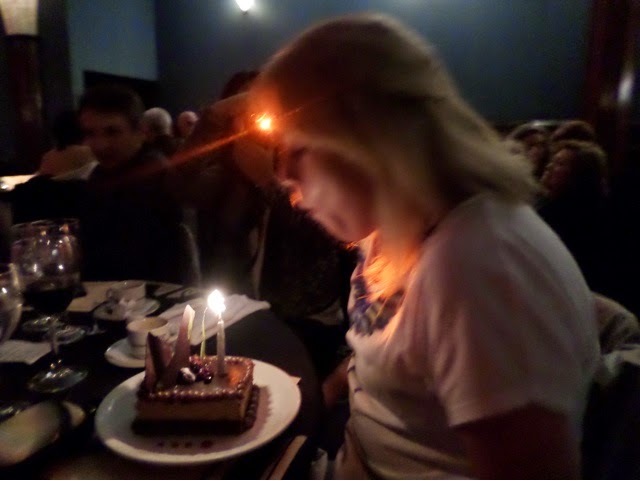 The following day was Michelle’s birthday, woohoo! In the morning we headed around the San Telmo makers, craft and antique markets. They were easily the nicest markets I have been around so far, as evidenced by the empty purse by the time I finished going around them! The markets are huge and run almost the full length of Calle Defensa. At one end of the markets is a church which still has holes in the front of it from canon fire when the British tried to invade in 1876. 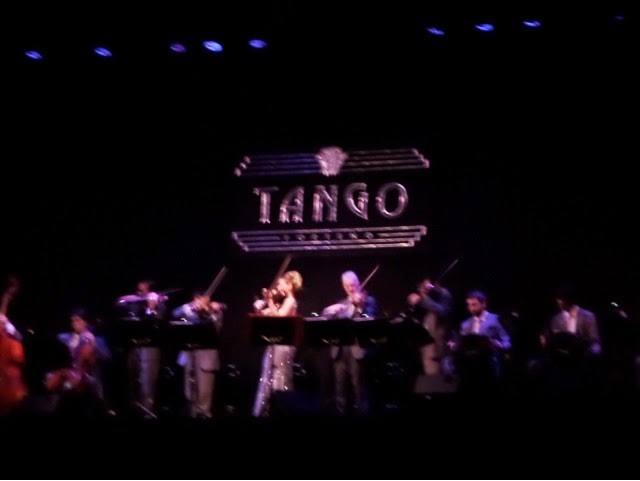 At the other end by Plaza Dorrego are the proper antique markets and there was live music and people tango dancing. You can see the canon damage top left. 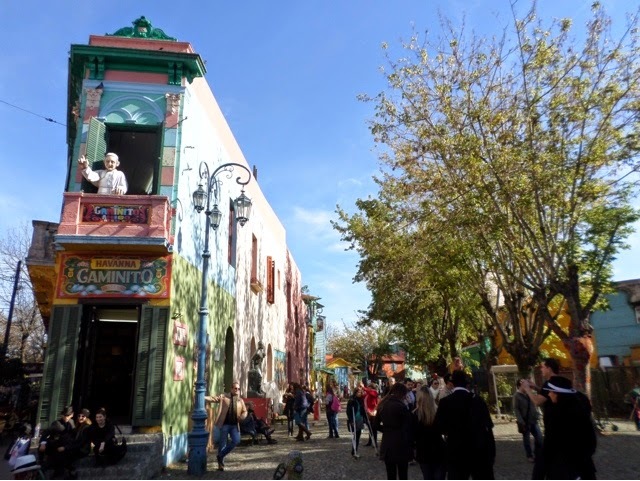 As said above San Telmo was the first suburb settled in Buenos Aires and is characterised by older colonial buildings. The streets are all cobblestone, which seems quite quaint but is also a bit annoying when you’ve been walking for a while. From San Telmo we jumped in a cab and headed to La Boca. 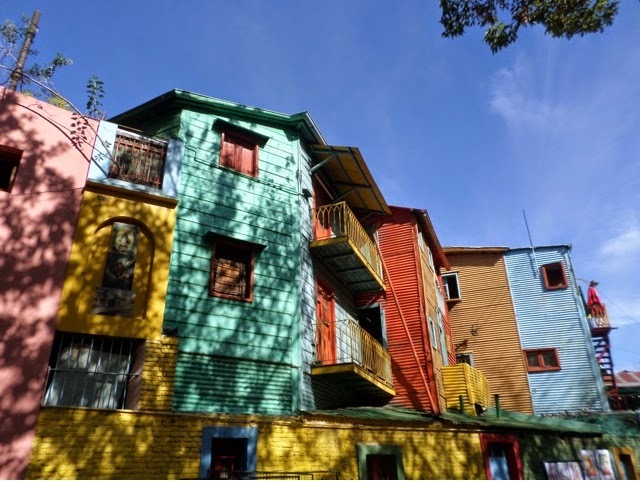 La Boca is a suburb located on the edge of the old port and is home to the Boca Juniors football team. It is a pretty poor area and has been home to political dissidents in the past. 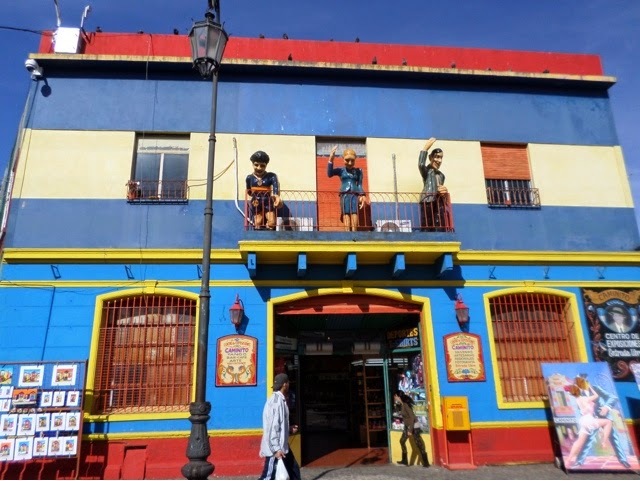 We walked around the main tourist parts, the Caminito, where there are lots of brightly coloured houses, couples dancing tango and artists stalls. It’s very touristy but a really nice place to walk around. Looking up the Caminita, being welcomed by the pope :-). 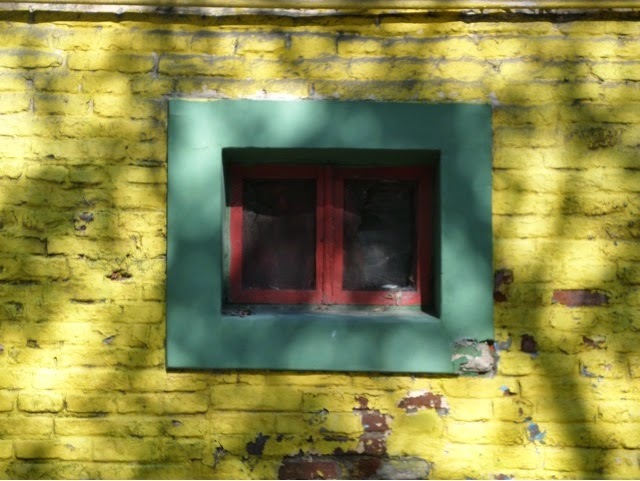 Brightly coloured houses line the streets. We then found a really cool lunch restaurant hidden in the back behind the houses. We spotted a large grill, below, and ducked in. We were the only tourists there, which I took to be a good sign. 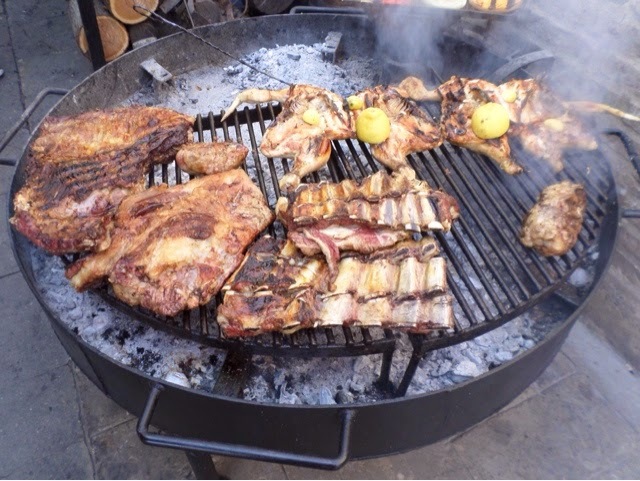 We ordered a combination BBQ to get to try a bit of everything going. The food arrived on a mini grill which they put in the middle of the table. We got steak, a few types of sausage, black pudding, ribs and intestine. We also had grilled veggies topped with a tonne of cheese. It was completely awesome! I was so full afterwards though! 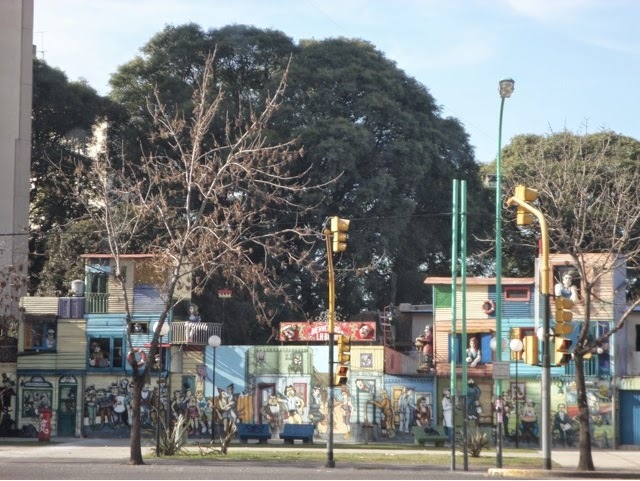 Artwork made from recycled materials at the entrance to La Boca neighbourhood. 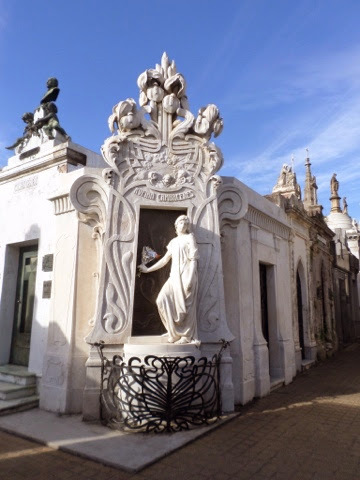 It was then onto the neighbourhood of Recoleta to visit the cemetery. On the way we stopped for ice cream and I had coffee and coconut, my favourite flavours. I wandered around the cemetery for a while. It was interesting, if not a little bit weird. Many of the crypts are highly ornate and are enormous. It did feel a bit odd to be looking in at people’s coffins and personal affects. It was also a bit sad when you saw ones that were no longer being looked after. 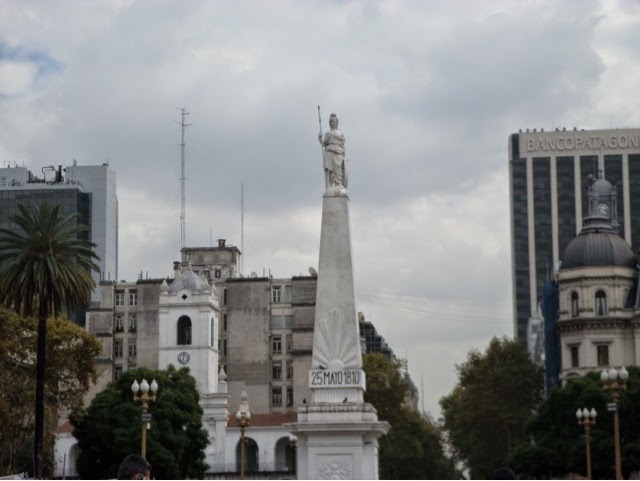 Recoleta is one of the weather suburbs and is named after the Monastery of the Recoleta Fathers, a group of Franciscan monks. The area exists due to a large yellow fever outbreak in the late 1800s, the wealthier families moved to the area it is elevated in relation to the rest of the city and had fewer insects to pass on disease. In the cemetery I saw the crypt of the Peron family where Eva Peron’s remains are located. That night we got dressed up and headed out to a tango show, it was really nice to go out with the girls 🙂 and Peter too, he was an honorary girl for the night! All glammed up for the night. 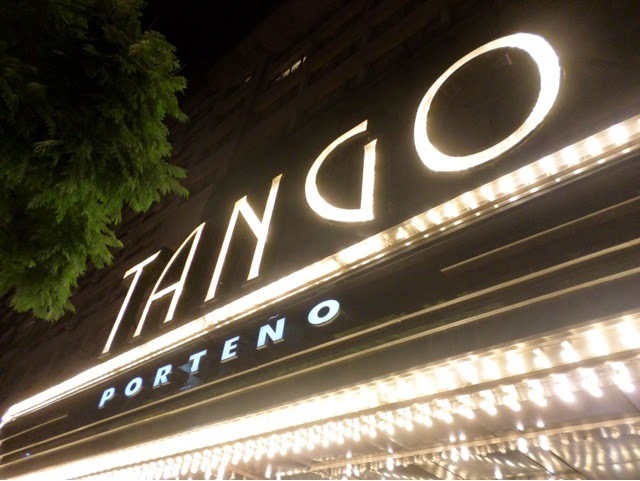 We went to the tango show at the Portenos theatre, it was the original MGM theatre. It was abandoned and left empty for many years, until new owners renovated it. They did a beautiful job, the interior is amazing. You feel like you’ve gone back in time. We started out with a tango lesson, which was frankly hilarious. Michelle and Courtney paired up I danced with Karen and Peter danced with a random Brazilian lady. He speaks no Portuguese, she speaks no English, match made in heaven ha ha! It was fun, but was over very quickly. After the class we went down into the main theatre to our table where we were treated to a three course meal before the show started. The show had dancing, music and singing. The house band were great and the lead violinist was an extremely glamorous lady in a long silver dress. One of the dancers is famous for having won the national championship more times than any other dancer. Some of the couples were amazing. The rest of our group had gone to watch the football match between River Plata and Quilmes. River Plata is the local team and won the game, taking the championship. That night the streets were full of fans celebrating the victory, with lots of banners and flags. 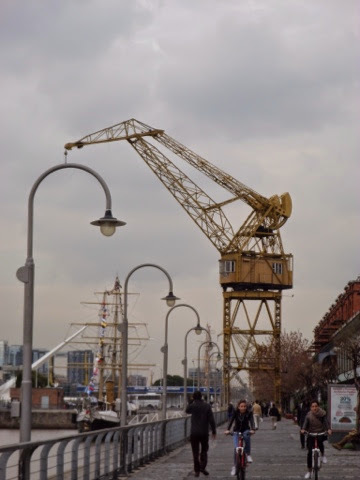 On my last day in Buenos Aires I went for a walk around the main shopping streets, but they were all western chain stores, so I headed down to Port Moreno to wall along the water. View up the river, it reminded me a bit of London Southbank. It was a pretty grey overcast day and so I just wandered around town for a while before heading back to the hotel. That evening we met our final group. 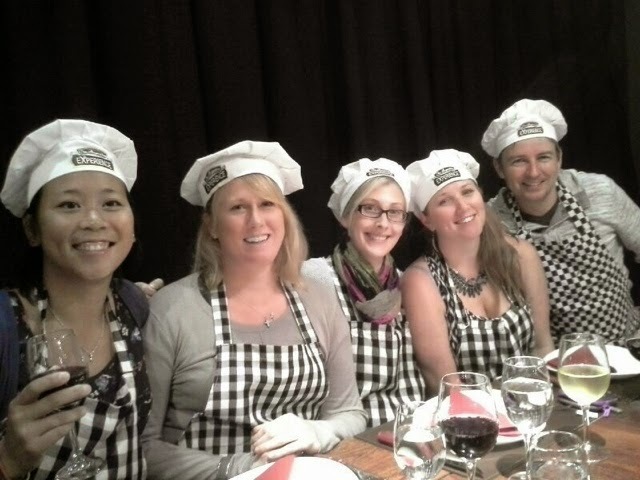 We lost six from the last group, Hayley, Rebecca and Lorna and also Nick, Nicky and Alex. We gained a bunch of newbies. We have a couple from the UK, Francesca and Miles, who are in their early twenties and are from the same area in London that I lived in for a long time. There is another Canadian, Charles, who is 56 and from Vancouver. Joey, from Sydney is the youngest member of our group at twenty. 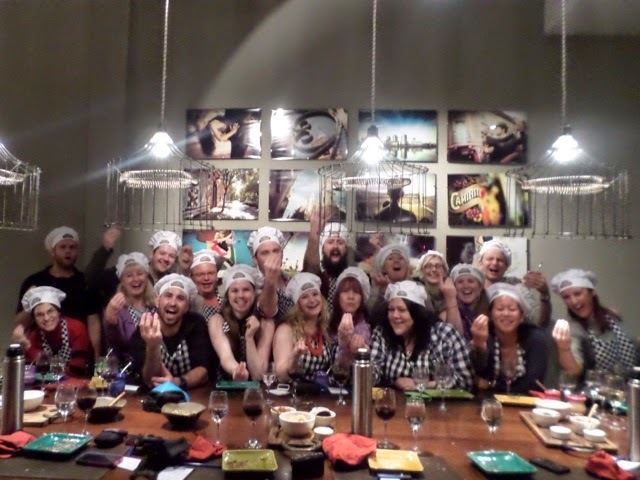 The final member of the group is Michael, 24 from Hobart, who interestingly used to be a cheese maker! We went out for dinner to all get to know one another and headed to bed to rest up prior to leaving the next day to head across into Uruguay. 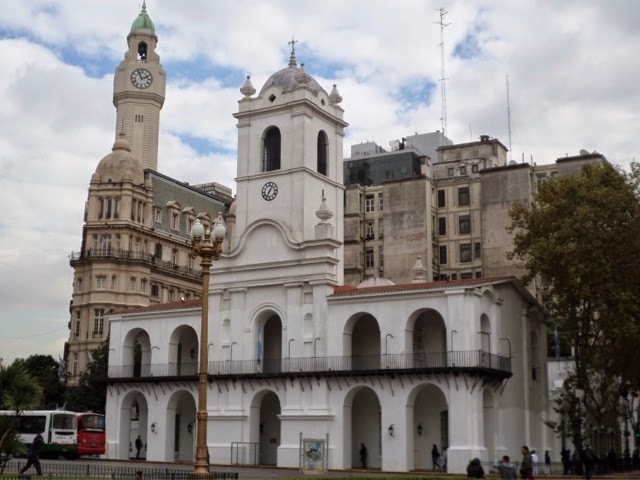 This entry was posted in Travel and tagged Argentina, BBQ, Buenos Aires, Cabildo, Caminito, Cathedral, Cemetary, Empanadas, Eva Peron, Intrepid, La Boca, Market, Palace, Palermo, Plaza Dorrego, Port Moreno, Portenos, Primo, Recoleta, Rio de la Plata, San Telmo, South America, SouthAmericanAdventure, Steak, Tango, Travel, Wine. Bookmark the permalink.